Vasiliy Lomachenko will put his WBO and WBA lightweight belts on the line against Anthony Crolla on Friday. We have a live blog of the action! 11 p.m.: We’re checking in for the live blog, which will get underway just as soon as the main card bouts get started. 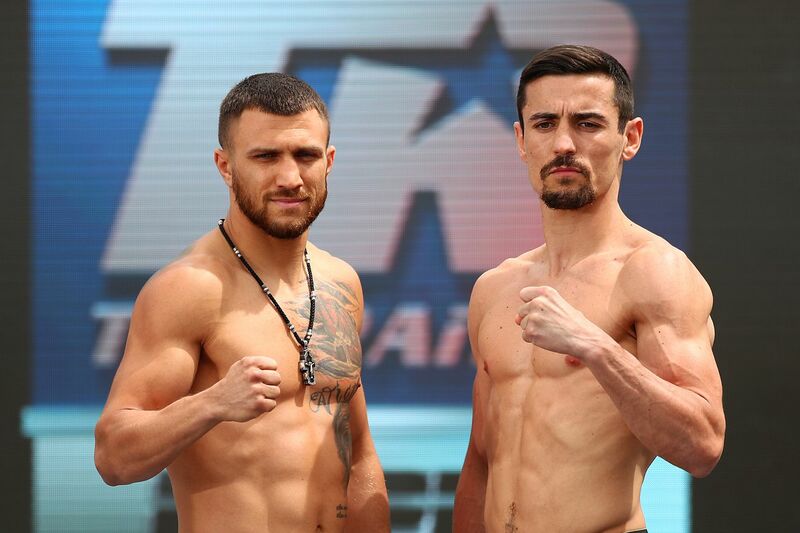 Vasiliy Lomachenko is set to face Anthony Crolla in the main event of an ESPN+ exclusive main card on Friday evening. The card is backed up by prelims that will be streamed free on WatchESPN beginning at 8 p.m. ET, while the main card is set to start at 11 p.m.
Lomachenko was originally set to face Richard Commey after he took the vacant IBF lightweight strap, but Commey suffered a hand injury in that bout. Instead, Crolla is the WBA mandatory challenger. Lomachenko will put up hos WBO and WBA lightweight titles in the matchup. In 13 bouts, Lomachenko has just one career loss, and it came in his second professional fight. He’s won 11 straight, including a unanimous decision over José Pedraza to unify the WBA and WBO belts. He’s won nine of his bouts by knockout and three by decision. Most believe Lomachenko will run through Crolla, and preferred the Commey bout. But Crolla has fought some of the best and he’ll be at his best against Lomachenko. It could be a much more competitive fight than many expect. The main card also includes a matchup between Gilberto Ramirez and Tommy Karpency at 175 pounds. Ramirez has his 168-pound belt, but is moving up a weight class. Ramirez is 39-0 and will not be putting his WBO super middleweight belt on the line. Karpency is a competent gatekeeper who has challenged for world titles multiple times. Below is all you need to know to watch, including viewing information and the full fight card for Friday’s bouts. Location: Staples Center, Los Angeles, Calif.
Mike Alvarado vs. Arnold Barboza Jr.